For Internal & External Use Our Pre-Cast Brick Slips Are Made In The UK, Lightweight, Ecologically Friendly And Ethically Sourced. These pre-cast brick slips have been designed to add a contemporary twist to a traditional product. 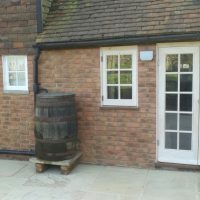 Our brick slips are a precast, lightweight, ecologically friendly and ethically sourced product. 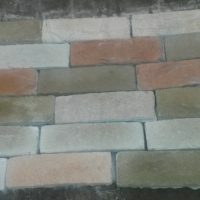 Use on renovations, new builds or a feature wall and this product will add depth and contrast to any external or internal project. With a great choice of colours, textures and styles this traditional pre-cast brick slips range also includes corner pistols to give extra flexibility on your project. Cast brick slips will be your backdrop canvas to assist in the creation of captivating interior and exterior designs owing to the individual character of the brick slips pattern and form. 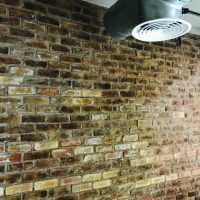 Once installed these pre-cast brick slips give the appearance of hand-laid brick walls. Our brick cladding products have the convenience of easy installation, a large range to choose from and the benefit of online savings. Higgins Wall Decor Store caters for different tastes and creative minds. We use a high percentage of recycled materials in the manufacturing process that would have ended up in a landfill. With the flexibility to be used internally & externally, our pre-cast brick slips offer Architects, Builders and Renovators the flexibility to mix traditional materials with the durability and cost reductions of a cast product. If used to renovate the outside of a property, for a new build or internally for a feature wall, your project is sure to impress. A Higgins Wall Decor Store choice will give you that designer look you’ve been after. 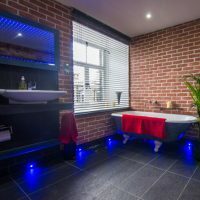 If you can’t find what you want in our Cement Reclaimed brick slips range then Contact Us to discuss your needs with one of our product specialists.